Elk Township NJ Real Estate Info is your source for great information on the area, its schools and community. 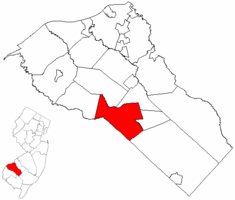 The MLS System we use for Southern NJ Real Estate look ups doesn't acknowledge Elk Township as it's own area. Unfortunately, you have to go to Monroeville and look through there to get the correct MLS Listings. However, the Township has its own website, schools, etc. so we can provide information to you.